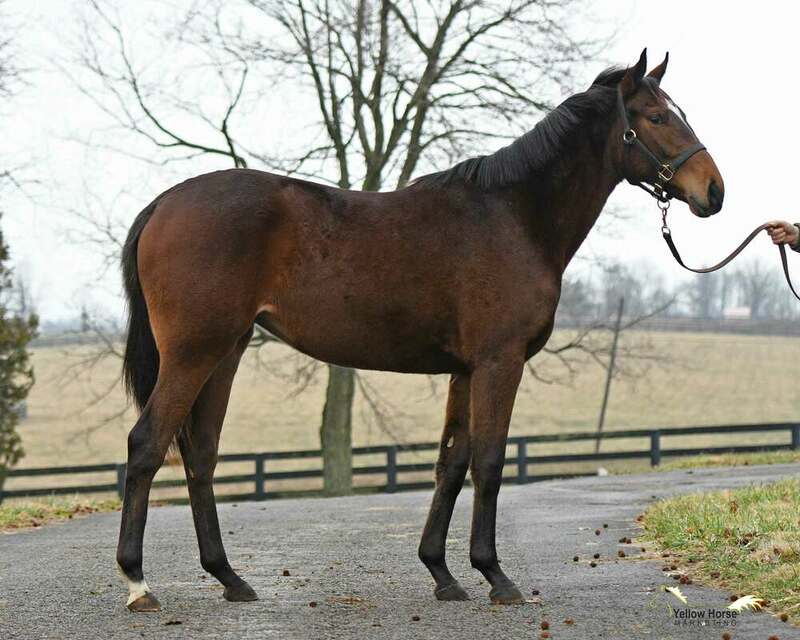 This New York-bred two-year-old filly is by Lane’s End’s exciting young stallion TONALIST, considered by many to be TAPIT’s best son at stud. A model of consistency, TONALISTis a 4-time Grade 1 winner who earned over $3.6 million and ran triple digit Beyers in 11 graded stakes starts, including the Cigar Mile (G1) and a repeat win in the Jockey Club Gold Cup (G1). 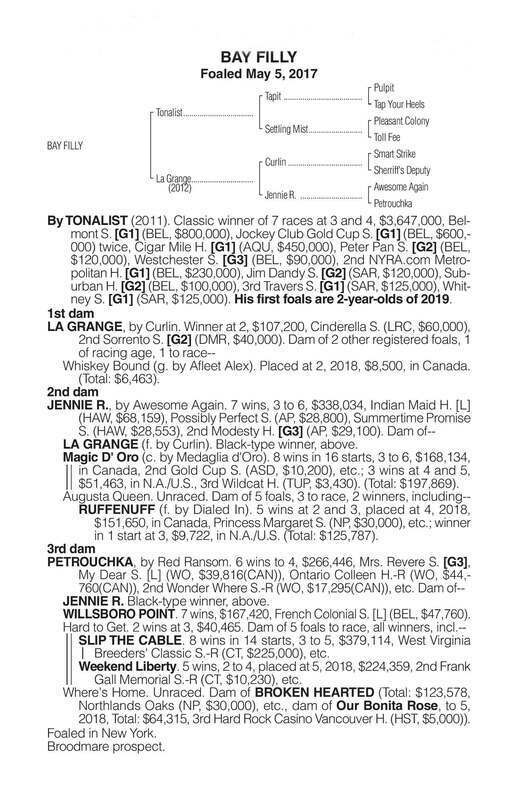 Through sixteen lifetime starts, nine of which came in G1 company, TONALISTwas off the board only twice. Now TONALISTlooks to continue his success as a sire: his first yearling sales were up to $410,000, and his first two-year-olds will hit the track in 2019. 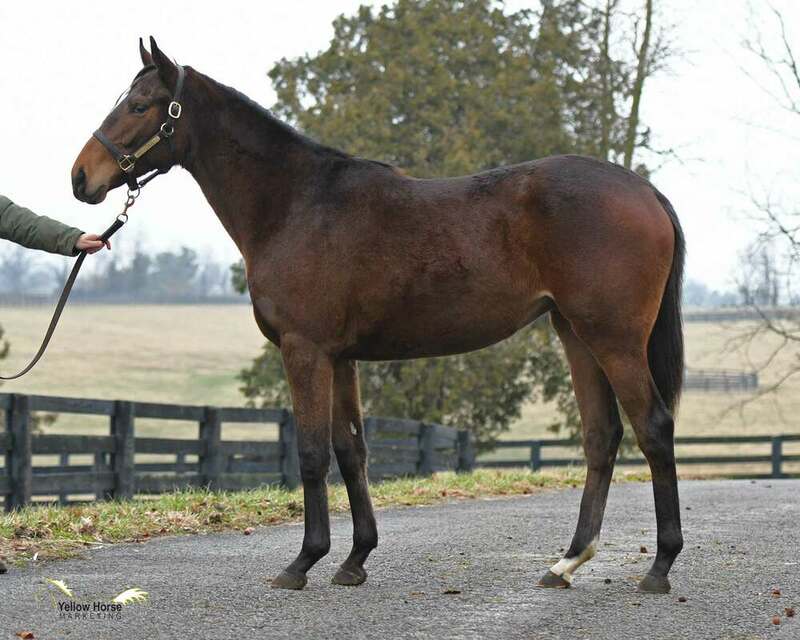 This filly is just the second foal is out of the G2-placed LA GRANGE(by CURLIN and out of G3-placed and multiple black-type producer JENNIE R.), whose first foal by AFLEET ALEXis a money-earner on the track. This big girl is ready to go! Cribber.